Upgrading from Windows 7 presents organisations with an opportunity to fundamentally rethink the way users work. 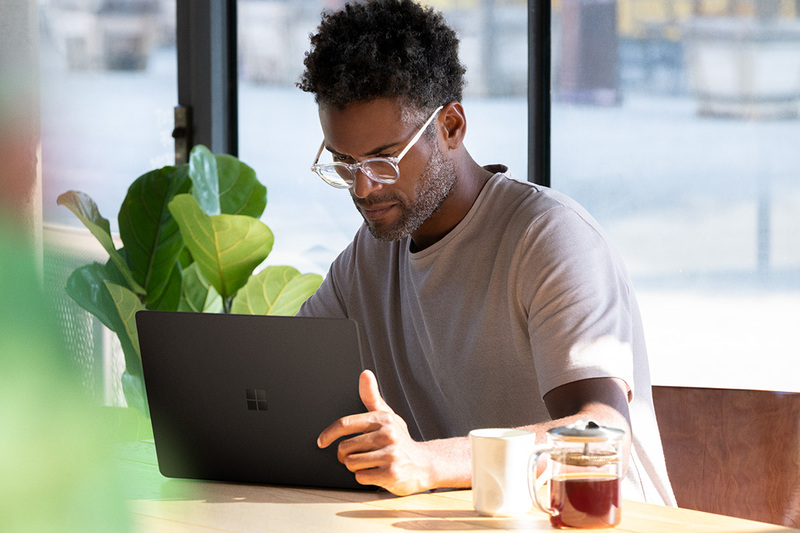 Designed with mobility in mind, Windows 10 delivers the flexibility employees crave, whilst providing the technology needed for efficient remote working. However, the process of migration has traditionally been complex and costly. Anyone who has spent considerable time creating standard images, deploying devices, testing updates and providing end-user support will confirm the manual demands of the process. As a leading global orchestrator of IT solutions for enterprise, CDW can help organisations gain maximum value from their investment in platform migration by delivering advantages directly to the workforce, improving productivity, attracting talent and engaging existing employees in smarter working practices. Without this, companies could be left to count the cost of doing nothing. Here we outline how Windows 10 can help organisations transform the way employees work. Legacy operating systems, together with outdated hardware, can damage productivity. Windows 10 provides employees the set of tools they need to pack the most out into their work day, even if they are on the move. A recent study found that employees using Windows 10, especially mobile workers, estimate that they have 25 percent more time to get work done than they did before3. Additionally, tests revealed that new devices with Windows 10 Pro and Intel vPro processors started up around 28% faster than older Windows devices4. Productivity is further improved by having easy access to essential applications through the cloud or virtual desktops, plus better collaboration and remote working tools. As a result, demands upon IT management are reduced, which opens up greater productivity for them too. The concept of the workplace is changing. Research by Microsoft shows that employees are currently working in twice as many teams as five years ago5. This rapid increase in collaboration has set new requirements for operating systems as well as hardware. Windows 10 has been optimised for efficient teamwork with inbuilt Skype and enhanced cloud services that make it easy to seamlessly deploy, integrate and manage various applications such as OneDrive for Business, SharePoint and OneNote. Real-time collaboration tools facilitate quick thought exchange with remotely based colleagues and the capabilities of cloud services, such as Microsoft Azure, make sharing files on the go simple. Many employers are using flexible working arrangements, such as remote and mobile working, to attract and retain talented workers, with half of the UK workforce estimated to be working remotely by 20206. Supported by the increasing number of mobile and wearable devices in the workplace7, this trend calls for additional flexibility and resilience to be built into the IT environment. Enabled by cloud services and virtual desktops, Windows 10 provides remote workers the same desktop experience and essential collaboration tools they are used to in the office environment, as well as access to critical business information, safely and without delay. Dedicated support services from Microsoft partners, such as CDW, can help further assure that remote working benefits the whole company without taking its toll on the internal IT team. A recent study found that over 60 percent of professionals admit that employees are the weakest link in their company’s security strategy and over half admitted that it had resulted in a data breach8. Both negligence and lack of training contribute to the problem - employees are focused on their daily tasks and don’t necessarily consider cybersecurity to be relevant for their role. That’s why the security features of a modern operating systems, such as Windows 10, are an essential first line of defence for any organisation, as they remove some of the responsibility from the employee. Windows Hello, for example, enables Windows 10 users to access devices, apps, services and networks with a fingerprint, iris scan or facial recognition technology The platform protects user information against accidental leaks and unauthorised access, with features such as BitLocker full disk encryption aiding in protection and recovery of critical data if an employee device is lost or stolen. These are just a few examples of how Windows 10 can help employees work more productively, whilst improving the security and flexibility of the organisation’s IT environment. Microsoft recently announced three new services to help organisations make the change to a modern desktop. These include the launch of cloud-based analytics tools to make deployment easier, a programme to ensure app compatibility for upgrades and updates of Windows and Office, and changes to servicing and support arrangements. To find out how CDW can help your enterprise migrate to Windows 10 and access these benefits, contact your account manager. Windows 7 extended support is ending January 14, 2020. While many organisations are well on their way to deploying Windows 10, many others are at a different point in the upgrade process. With that in mind, Microsoft has recently announced that paid Windows 7 Extended Security Updates (ESU) will be available until January 2023. The Windows 7 ESU will be sold on a per-device basis and the price will increase each year. Windows 7 ESUs will be available to all Windows 7 Professional and Windows 7 Enterprise customers in Volume Licensing, with a discount to customers with Windows software assurance, Windows 10 Enterprise or Windows 10 Education subscriptions. In addition, Office 365 ProPlus will be supported on devices with active Windows 7 Extended Security Updates (ESU) until January 2023. This means that customers who purchase the Windows 7 ESU will be able to continue to run Office 365 ProPlus. 4. Testing conducted by Principled Technologies in July 2015 in a closed lab environment using OEM factory default images on a representative sample of Windows 7 devices. Each boot test was run 10 times and the averages compared. Average improvement in start-up was 28%.